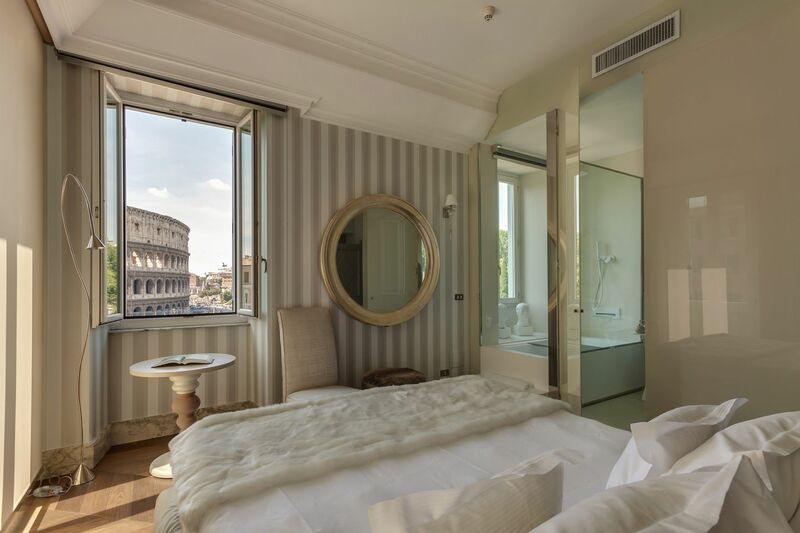 The Coliseum: where citizens of imperial Rome gathered to escape the tribulations of daily life and to become a part of something larger than oneself. 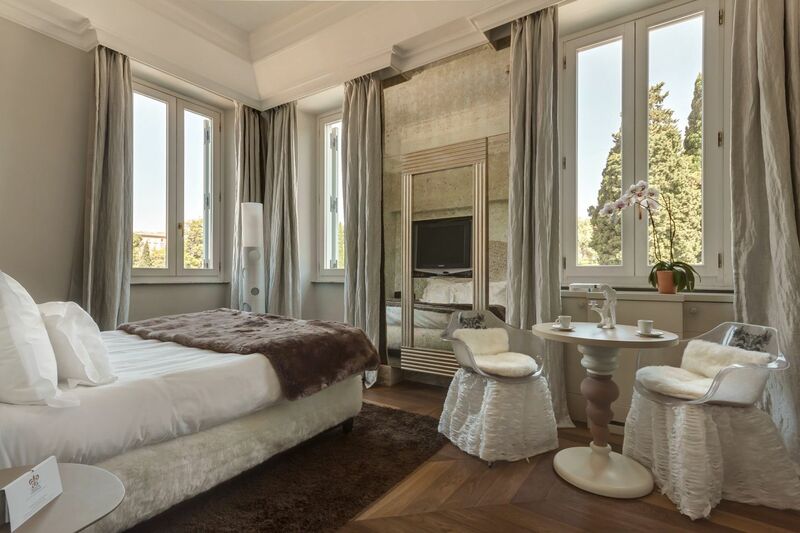 The Coliseum wasn’t meant to be toured in two hours — it is, and always has been, intended to be experienced intimately, and for guests of Palazzo Manfredi, the 20-room and apartment Relais and Châteaux hotel that stands directly opposite the Coliseum, this is the experience they have. 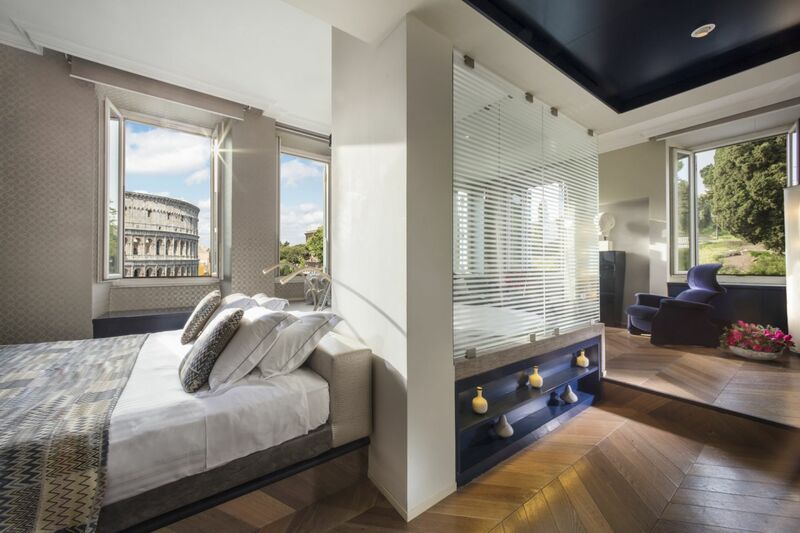 Built atop the ruins of Ludus Magnus, the largest gladiatorial training school in ancient Rome, the 17th century building is steeped in history. In the lobby, antique maps and display cases evoke an enchanting old-world mystique, heightened by dark, exposed wood and leather furniture and dim, muted lighting. 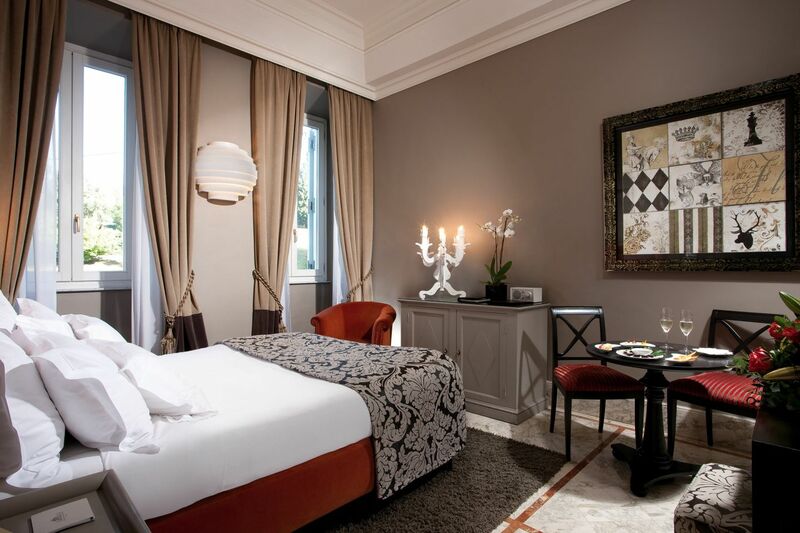 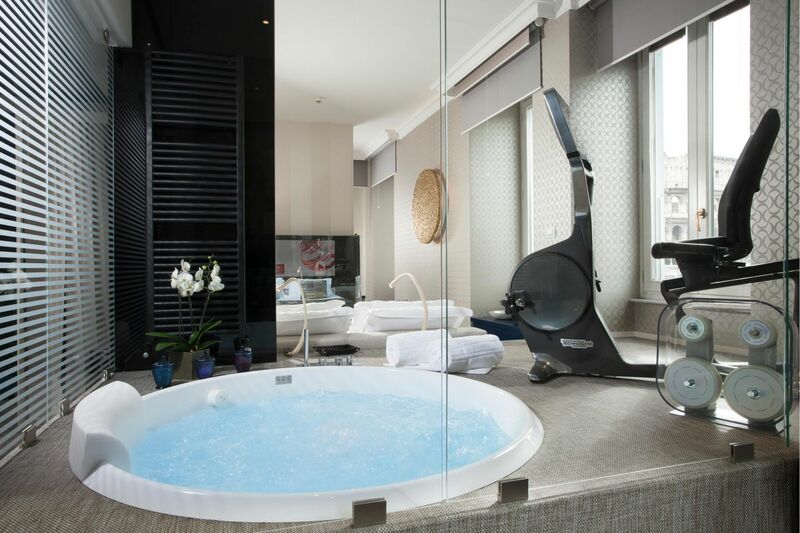 In the 14 guest rooms and six apartments, however, each of which are individually styled, the decor is opulent, glossy, and bright: Marble baseboard moulding, parquet flooring, rounded mirrors, modern laminate wallpaper, and bold accents appoint each space, and for the pièce de résistance, most rooms directly overlook the hotel’s esteemed neighbor. 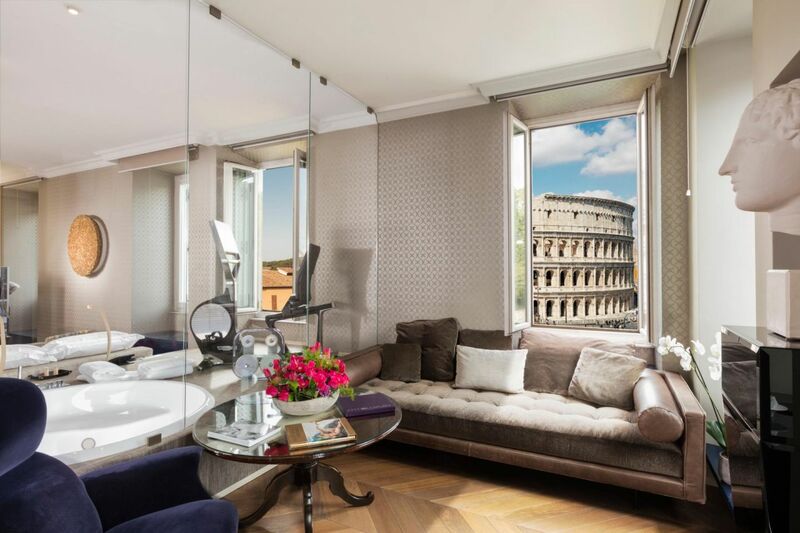 The Coliseum is best viewed, however, from Aroma, the Michelin-starred restaurant perched atop the hotel. 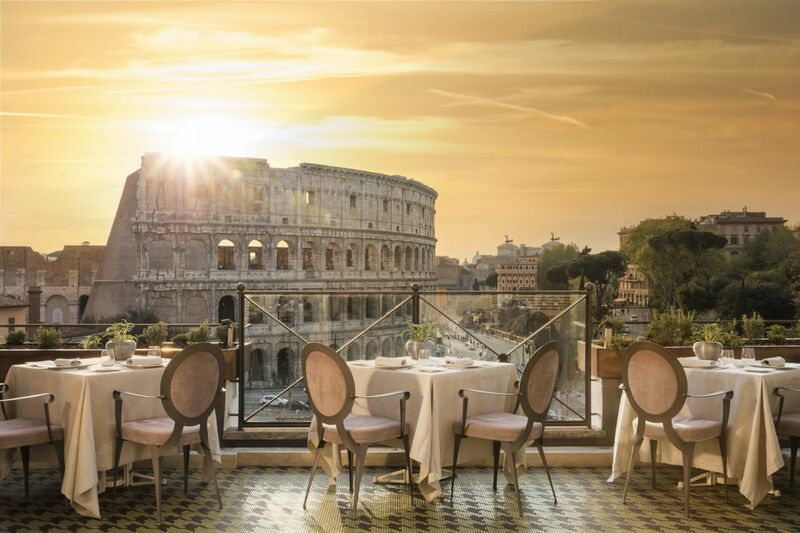 On the open-air terrace, diners savor Mediterranean cuisine against a backdrop of the Eternal City that words can hardly do justice.